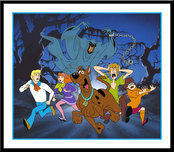 Scooby-Doo is a long-running American animated series produced for Saturday morning television in several different versions from 1969 to the present. 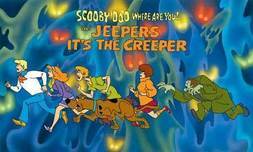 The original series, Scooby-Doo, Where Are You!, was created for Hanna-Barbera Productions by writers Joe Ruby and Ken Spears and character designer Iwao Takamoto. 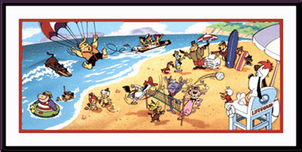 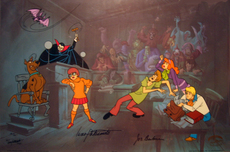 Hanna-Barbera produced numerous spin-offs and related works until being absorbed in 1997 into Warner Bros. 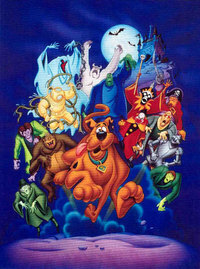 Animation, which has handled production since then. 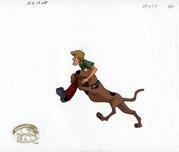 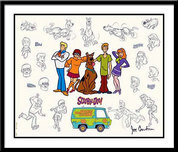 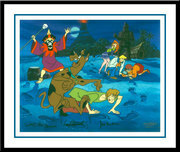 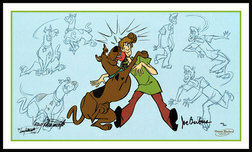 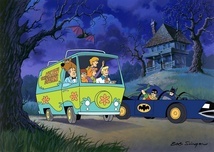 Although the format of the show and the cast (and ages) of characters have varied significantly over the years, the most familiar versions of the show feature a talking dog named Scooby-Doo and four teenagers: Fred "Freddie" Jones, Daphne Blake, Velma Dinkley, and Norville "Shaggy" Rogers.